The average foreign investment in Iran has been less than 1% of GDP so far. Though after “Joint Comprehensive Plan of Action” many companies and foreign countries have been willing to enter Iran, there has been no significant results so far. It seems that the government needs to take steps to facilitate the flow of foreign investment into the economic sectors. The rich natural resources have made Iran a suitable area and one of the most attractive countries for investment in the region. To enhance foreign investment, special economic zones and free trade zones have been considered. Due to privileges such as exemptions and very low taxes (close to zero), Iran can attract foreign capital in these areas quite easily. At the time being, seven former free zones are being exploited, and seven newer zones are waiting to be exploited in the future. There are also twenty three special economic zones in Iran. The way the opportunities and potentials of the country is introduced can be the most important and effective approach in attracting capital. Automotive industry, renewable energy, petrochemicals, pharmaceutical industry, mining, agriculture, etc., are among the industries that are more capable of receiving investment. Iran is known for its place as the seventh carbon dioxide producer in the world. According to environmental laws, the construction of new units founding on fossil fuels is prohibited; therefore, Iran has supplied new energies to provide its own electricity. As it is a guaranteed purchase by the government, it can be cost effective for private section, as the per ca pita consumption of electricity in Iran is quite high. According to the United Nations Convention on Climate Change, Iran has pledged to reduce its carbon dioxide emissions by 4% by 2030. So far for this purpose, $ 17.5 billion has been invested, but for the whole program $ 52.5 billion is required. Although there are two large and old automobile manufacturers in Iran, their quality does not meet the Iranian standards of the 21st century. The local market is also accompanied by a flood of imported vehicles, but these cars are so expensive that most Iranians cannot afford purchasing them. So, with the arrival of high quality cars and reasonable prices, the market will drop a large part of demand. Due to the high price of cars in Iran comparing to neighboring countries such as Iraq, the government welcomes the assembly of cars or car manufacturing under the license of the main company, or the production of vehicles with foreign capital and the Iranian work force. That makes foreign companies interested to step towards the negotiating table. The self-sufficiency of wheat production has made the product an attractive destination for investment. Products such as wheat and barley due to government-guaranteed purchases and the recent entry of these products into the capital market are all that the agricultural sector investors seek to pursue. 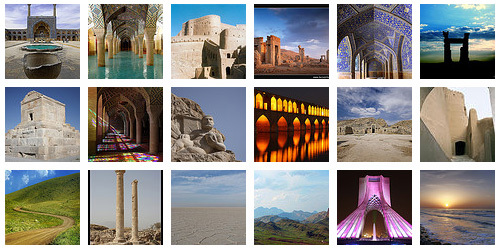 Iran has the potential to reach a high rank in tourism in the world, as it already ranks 10 among the world’s ancient and historical attractions. It also ranks 5 in Global Natural Global Attractions. It has 32,000 national registered attractions, 19 architectural works registered at UNESCO. Also the strategic position of Iran and tax exemption for investment in the tourism sector makes Iranian tourism a good sector for foreign investment. According to the plans, Iran is expected to attract 20 million foreign tourists every year. According to some researchers in the field of energy economics, oil has the potential for higher liquidity than the currency of the country, so that other countries, especially for European countries, oil is more easily convertible to the international currency than Rials. Iran is an oil exporting country, and the investors can buy or export oil (or its sub-products) as their share. In general, the world knows Iran as a petroleum country, and Iran is an oil exporting country with a special stake in OPEC. This is the reason why most of the investments done in Iran are in the oil field. In short, the fields of information technology, oil and energy, petrochemicals, pharmaceuticals, banking, insurance and transportation services can be considered as best investment targets in the future of Iranian economy. 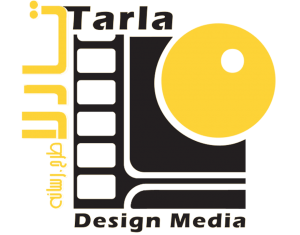 Tarla Studio is a full- service innovative branding and marketing consultant and service provider. Cooperating with some of the best professionals and providing high international standards, Tarla Studio can assist you in branding and marketing in Iran. We can especially help you to do marketing research in Iran’s market, plan efficiently, customize your advertisements with current regulations, and finally execute your marketing plan effectively in Iran.